We all know how on the 26th of October 2018, the President in an unprecedented act of indecency, acted in a high handed manner to remove the incumbent Prime Minister (Ranil Wickremesinghe) and appoint another member of Parliament (Mahinda Rajapaksa) as the Prime Minister. In doing so, the President neither sought the consent of the Parliament nor followed the constitutional provisions, which makes his actions no different from those of a wayside thug. Thereafter, he went on to prorogue Parliament until the 15th of November. The prorogation of Parliament was a clear indication that the unconstitutionally appointed Prime Minister did not have the required strength in Parliament, and a device to buy time to intimidate, coax or buy up week Parliamentarians to support him. Sadly, there were a few weaklings among the Parliamentarians, who were willing to sell their souls. But to the credit of the majority, they stayed firm, which resulted in a political confrontation that the Sirisena / Rajapaksa duo did not envisage when they resorted to their high-handed unconstitutional actions. I will not dwell on the types of inducements that were provided as they are in the public domain now. When the reality of the failure to secure the required numbers finally dawned on him, the President dissolved Parliament in another unprecedented act of violation of the constitution. Pushed to the wall, members of political parties, civil society, and even an individual, sought relief through several petitions filed in the Supreme Court. This resulted in an interim injunction being issued by the Supreme Court against the gazette of the President and the order to the Election Commission not to proceed with any election related activities, as promulgated in the gazette. With this short background of the chronology of events, I now move to the political climate in which the above interim injunction was issued by the Supreme Court. For this we need to remember the pre-2015 period when the Executive completely dominated the Legislature and the Judiciary. It is the change in the socio-political environment of the country since 2015 that has enabled the independence of the Judiciary to make this decision. This is arguably the boldest decision taken by the Supreme Court in recent times, and I bow my head to the Honourable Judges who made this order, establishing the independence of the Judiciary, unequivocally. We as Sri Lankans have to be proud that this country still has gentlemen of this order who have the steel to stand up for justice and constitutional governance. 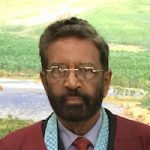 However, the action of the Honourable Judges cannot be viewed in isolation and credit must be given to the Yahapalana government who so tirelessly worked to extricate the Judiciary from the clutches of the Executive, and progressively appointed apolitical persons to high judicial office. Had this change not been effected and the independence of the Judiciary re-affirmed, we can imagine what would have become of this nation. We would have gone into the company of those nations in the world that regularly oust their rulers through coups by despots who syphon out the resources of the country into their personal accounts in tax heavens, and dry up the country for the lesser beings. Today, we are further overjoyed to hear of another interim injunction issued by the Supreme Court. This was against the Prime Minister and his cabinet who continued to occupy and abuse the powers of their positions, despite them being constitutionally evicted. Though not legitimately empowered, they have been using their offices to give employment to thousands of people to win their support and have made several changes into tax structures, seriously endangering the economy, which has already plummeted to the depths it has never fallen, thanks to the self-centred, power hungry actions of this group. Some of these changes have far reaching consequences on the country’s economy and the damage they have caused may well be irreversible. While the country awaits the final decisions of the Supreme Court, we the people of this country hope that the illegal Prime Minister and Cabinet will get the message of these interim orders and back out honourably from their pretentious acts and hand over the country back to the legitimately appointed persons, to salvage it from the disaster caused by their illegitimate game, and to establish systems for the legitimisation of financial discipline for the administration of the country for the coming year. I take this opportunity to congratulate the citizens of this country for the patience they exercised during this time of great stress and tribulation and not respond to the despotic actions of the illegitimate group. I also thank the religious leaders who prevailed upon the President to resolve this matter of grave concern to the nation. I also thank the different political groups in the country who laid aside their political differences and united against the common enemy, the despotic illegitimate group, at this time of serious danger to our proud democracy. I wish to call you saviours of the nation at this time of special need. If only a few of you cringed, the nation would have been in the hands of the despot for ever. It is my fervent wish that this group will put aside their petty differences and retain its congruity for a further period and deal with the conspirators of this constitutional coup and ensure that the perpetrators of the heinous crime against this nation will be dealt a blow that would leave no room for a repetition of a similar act for all time. I also wish to emphasise that, for elected representatives, this is not an option, but an obligation laid on them, when they took their oath to honour and uphold the constitution at all times. Failure on your part to execute this action to its conclusion would perpetuate the belief that exists in the minds of the public that politicians of all hues scratch the backs of one another for their personal glory, that they are part of a single, self-serving team. It would mean that the noble process that you effected through such grit, under such trying conditions is diluted by your self-seeking intent which will render you unworthy of being considered to be elected as our representatives for the future. Please politicians, take note that you are under the magnifying glass! UNF should nominate Mr R Sambandhan or Mr Rauff Hakeem to be the PM… afterall they are not minority but citizens of this country ..then watch the fun of MS & MR camps…will or can the reject ..? That would checkmate him.. The present episode is a good lesson for those who are involved in drafting. our constitution. Ambiguous words and clauses should be avoided. If any clause has to be read in conjunction with another clause it must be stated so without allowing the imagination of the lawyers and judges to run riot. Further a glossary of terms and their meaning as far as the constitution is concerned should be included in the constitution for easy reference. This will avoid lengthy arguments and different interpretations. by different people. at different times. Every one becomes an expert in interpreting the constitution during this type of may hem. MP’s and lawyers are the worst offenders. I am a layman and I don’t have adequate finance to hire lawyers, hence people like me be at ease if and when the need arises to read the constitution and act accordingly. The mess started in 1972. With 1977 came the concept” “After me, let the deluge come”, .. The deluge has come. Does Ranil W regret .what he did to CBK’s proposal? These things come around in circles. Britain has no written Constitution; But they manage their affairs,with convention and Law and Order. If Srilanka too adopts a system without a written Constitution HELL WILL BREAK LOOSE! Dr Suren Sumithrarachchi describes the RW-sack and ‘happenings’ that followed with terms like “unprecedented act of indecency”, “acted in a high handed manner”,”nor followed the constitutional provisions”, “actions no different from those of a wayside thug”, “the unconstitutionally appointed Prime Minister”, “act of violation of the constitution”, and so on. Suren will now agree that the RW-sack was a putsch. We have had a coup d’état. Suren alludes ~ “……. nations in the world that regularly oust their rulers through coups by despots who syphon out the resources of the country into their personal accounts in tax heavens, and dry up the country for the lesser beings………”. Suren, let us call a spade a spade. We must not tolerate another putsch. We must act decisively NOW. Of course we agree with Suren ~ “…..leave no room for a repetition of a similar act for all time”. The SC will uphold the FR petition by RW well wishers, on 7 Dec. There shall be a budget or interim accounts/estimates for 3 months has to be submitted to Parliament and approved before 1 Jan 2019. This will be submitted by the “Government” which may be the President who may be the whole Cabinet of Minsters. The hostile Parliament rejects that bill . The Government ceases to function ( that is President ceases to function) without funds. He should go, leaving the Parliament to use the constitutional powers to appoint the ‘Executive’. Parliament (Govt) submits Estimates or Budget, approve it and the Govt will function.